The vacuum gold bar making machine is designed for quality gold and silver bars, ingot and bullion casting with customized weight and size. The gold bar quality is approved for LBMA deal. It is the top saving, safe and efficient way for gold and silver bar making worldwide. See video below for reference. 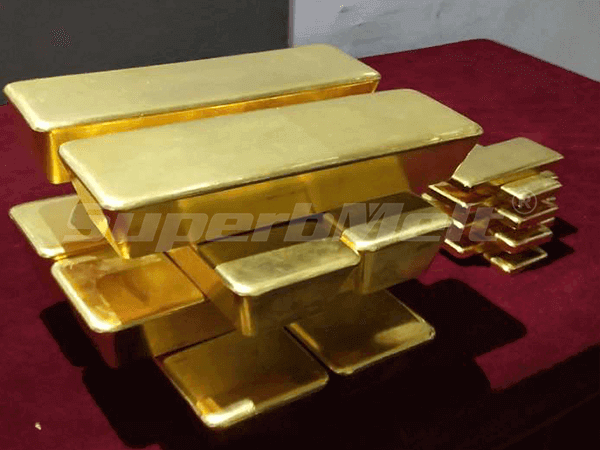 It is generally believed that the quality of a gold bar depends entirely on the gold bar casting method used in producing it. 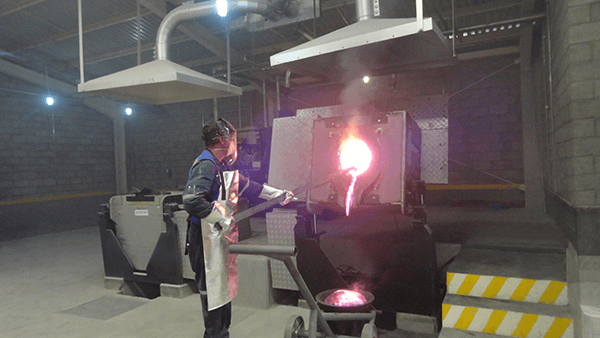 Over the years, different approaches for casting gold bars have emerged, from the traditional method to Induction Tunnel Systems. However, Vacuum Gold Bar Casting has turned out to be the most effective method, based on the positive feedback from users. The traditional gold casting method was adopted in the earliest periods of the gold-rush years, and it is very much the same method utilized in several parts of the world, most especially where there is limited access to the latest gold bar making machines or technology. The gold is melted in an open, “holding” crucible with heat from an induction or a gas furnace that can increase the temperature of the environment where the heating is taken place. Some amount of the melt gold is tilted into a pre-heated “transfer” crucible. Dip sample of gold (about ½ Oz gold) may be taken for assaying purposes. 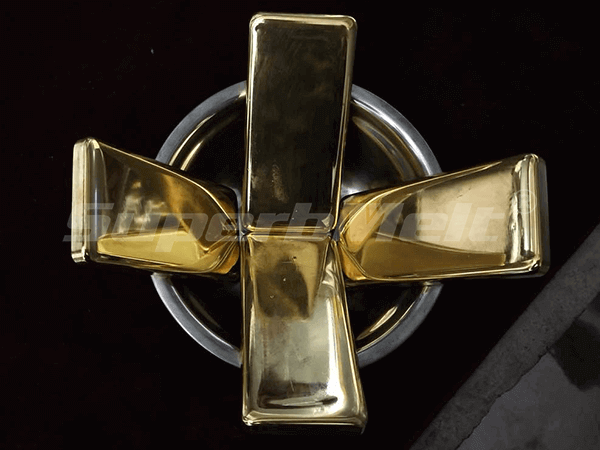 To size the gold bar, the melted gold in the “transfer” crucible is then poured through a soft gas flame into a dressed and pre-heated cast-iron bar mold. The mold is placed on a balance during pouring, and when the expected weight has been reached, the process is completed. The gold bar is then tilted into a tank of water for cooling (quenching). The gold bar is then placed on the table for cleaning using a soft cloth to remove any stains or dirt. The major headaches with the traditional gold casting method is that it requires plenty of workers; it is environmentally unfriendly; some gold material may be lost during the procedures; and, there is no way to prevent oxidation, and other corruption that may affect the gold bar’s quality. The Vacuum Gold Bar Casting, however, takes places entirely under the protection of vacuum and inert gas. The essence of this is to prevent any loss of metal, oxidation, water wave, shrinkage, and guarantee workers’ safety. 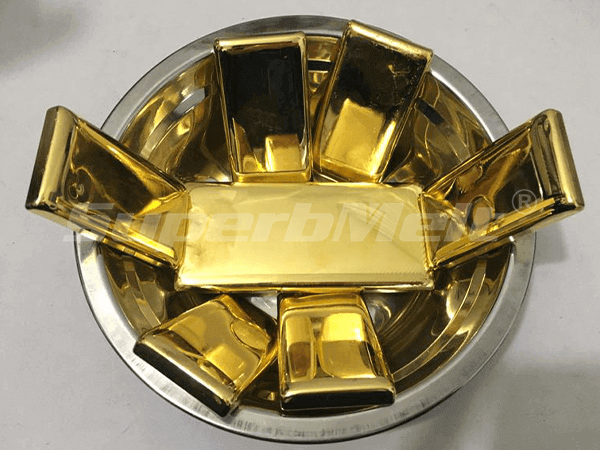 Unlike the traditional gold casting method, it is flameless: So, vacuum gold bar casting method is environmentally friendly and cost-effective, since it doesn’t require a lot of labor because of its automation feature. Highlighted below are the simple procedures for producing high-quality gold bars and bullions using the vacuum gold bar casting method. 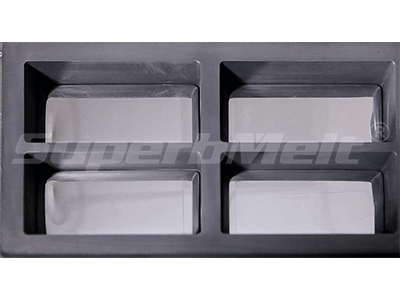 Weigh the materials into the mold by using a good and sensitive weighing device to measure the actual amount of gold material that would go into making a particular weight (size) of the gold bar. Pour the weighed material into the crucible-like device that will give the gold bar its desired shapes. Turn on the vacuum gold bar making machine’s power switch. 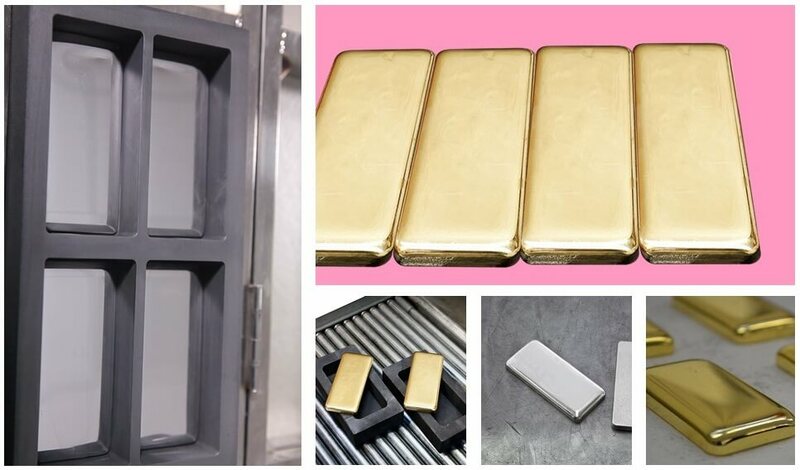 Set some parameters on the gold bar making machine that will facilitate the casting processes—it is essential to set the timing of heating, vacuum cooling, and alarm that will sound off once the casting has been successfully completed. Press “Tank Head Switch” to open its cover. Then lower the crucible-like device into it. Press “Cooler switch” of the gold bar making machine to lift the cooling board, and then press “Auto” to start the casting. 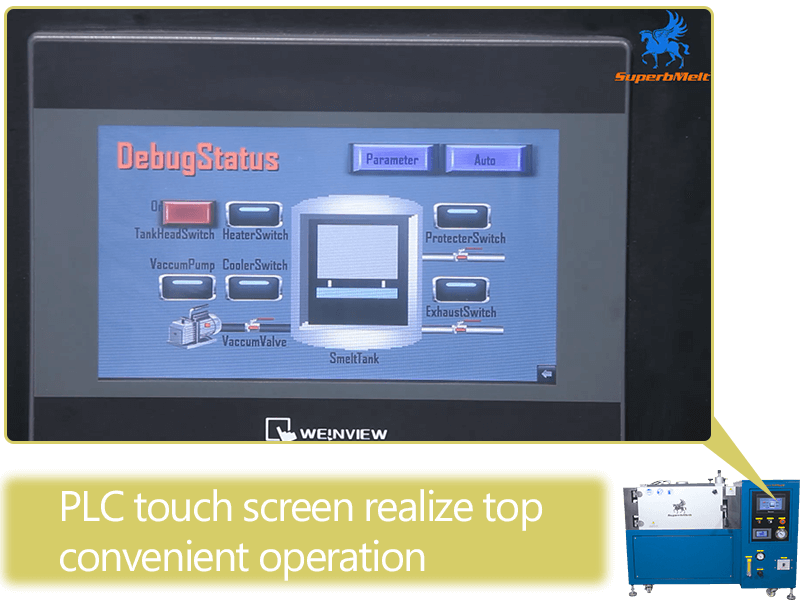 This is an automated system that functions noiselessly and with limited number of workers. The vacuum protects the bars from oxidation and porosity. The casting procedure will be completed according to the timing set at the onset on the gold bar making machine. Take out the cast gold bars and carefully place them in the designated receptacles for storage. The bars will have shining, mirror-like surfaces, revealing that they have not been affected by oxidation, shrinkage, and porosity. And there is almost no loss of material. 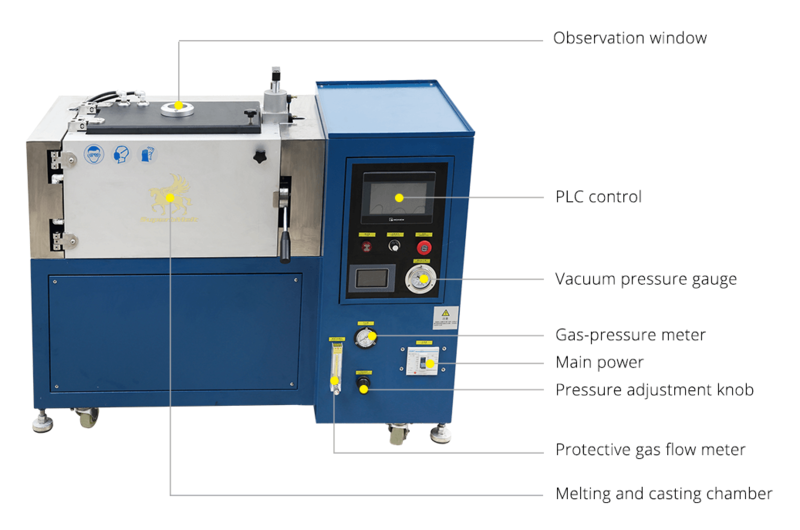 In order to fully understand the revolutionary qualities of the Vacuum Gold Casting Method, the table below compares its procedures and functions with that of the Traditional Gold Casting Method. High quality: It is imperative that you should pay serious attention to the overall quality of the gold bars/bullion you are producing. This is because quality will eventually affect their market appeal or value. It is a well-known fact that a shrunk gold bar will not command the same value and price as the one that has no shrinkage. Workers’ safety: You need to make sure that your smelting workers are safe while carrying out their assigned duties. It is advisable that you use a procedure or gold bar casting method that will not expose them to dangerous heat, smoke, and flame. It is somehow hard to find experienced smelting professionals in the labor market; so, it is your responsibility to protect those that are currently working for you. Cost-efficiency: The surest way to maintain your gold-making business is to operate profitably. And the best way to achieve this lofty goal is to make sure that your overheads and other expenses are systematically reduced. When you selected a cost-efficient gold-making method, you won’t only be able to save money on your expenses, but you will also be able to raise your profitability profile. Environmentally friendly method: Choose a gold-casting method that will pass the test of environmentally friendliness. 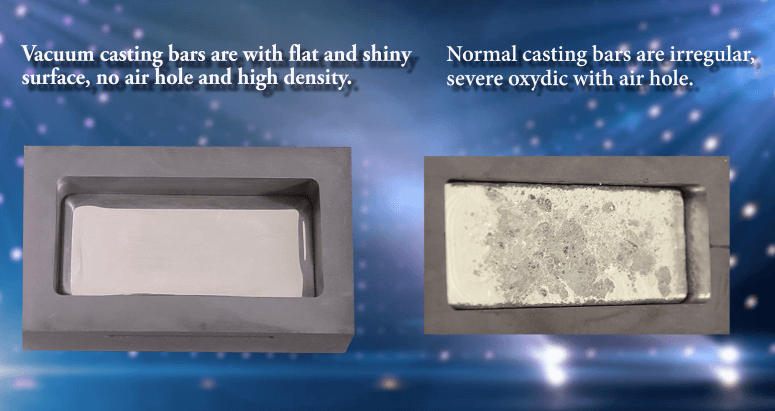 This entails that your selected gold bar casting method will not produce heat, pollution, noise, harmful side-effects, and other dangerous bye-products that may affect the health of your workers as well as of those in the neighborhood where your operations are based. 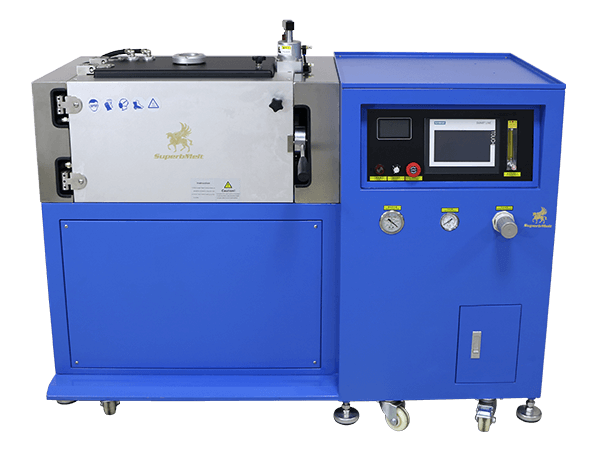 Smoothness of operations: When you selected a gold-casting method that is not too complicated to operate, it will automatically increase your overall performance. Take for instance, the traditional gold casting method involves series of difficult and sometimes dangerous procedures. 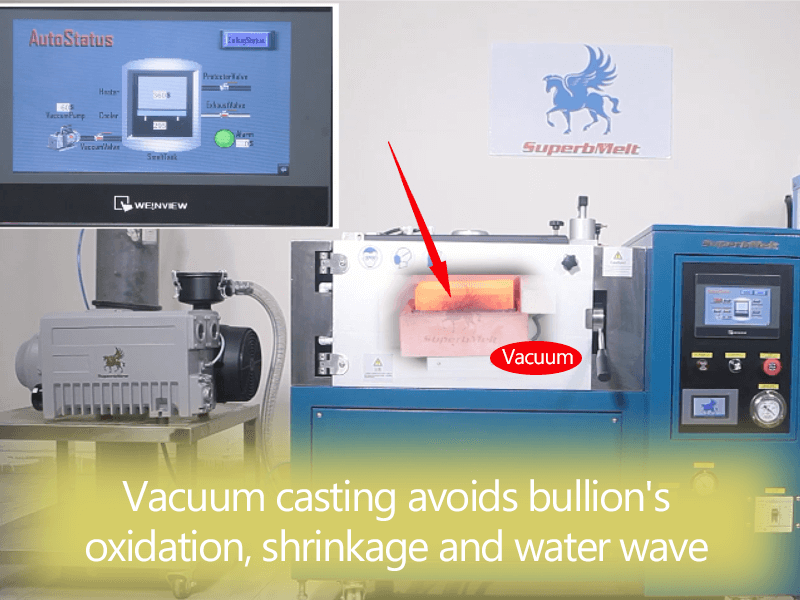 On the other hand, vacuum gold casting method is simple, direct, and effective—it could be run by a “toddler” once he/she learns the simplified procedures that should be undertaken. System continuity: On top of all other factors, you should select a gold-smelting method that will guarantee the continuity of your business operations. This can be achieved if you are operating profitably and producing gold bars and bullion that are of great quality. More so, if your procedures are environmentally friendly, you will be admired by both the gold standardization organizations and your clients. Your business will receive referrals from new clients who will, in turn, introduce the others to you. 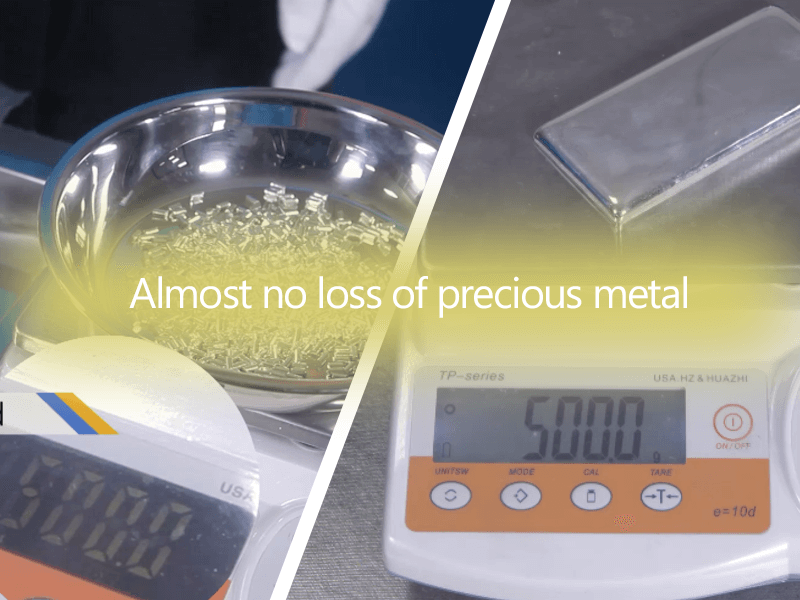 Unfortunately, the traditional gold bar casting method threatens system continuity because there are some risks involved in adopting this method.